Andrew Fairie is Wilben’s Chief Executive Officer and has broad experience in trading, risk management and finance. He began his career with Shell Trading and Shipping Company (STASCO) in London as part of the global risk management team. 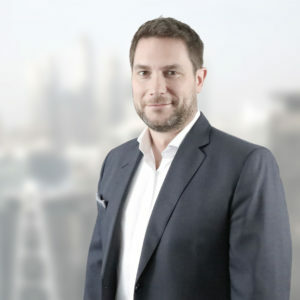 Thereafter, he joined Merrill Lynch Commodities Europe before relocating to the United Arab Emirates in 2008, working for the Government of Dubai as part of the DMCC’s drive to become a leading hub for commodities. Prior to joining Wilben he worked for Singapore based commodity trade finance fund EFA Group, responsible for the group’s origination in the MENA region. Andrew studied Chemical and Life Sciences at the University of Greenwich.